There comes a time in any client's skincare regime when they have exhausted the routine of facials, microderm packages, masks and creams in their quest to stay youthful - they want more. Many small spa businesses and estheticians find themselves trying to decide what to add to their menu as a next level of treatment to address more aggressive signs of aging for these types of clients. Some will opt for purchasing or leasing IPL machines, lasers, or various types of equipment in hopes of helping clients reach that next level of rejuvenation. But with these types of units costing $10,000 - $40,000 (and results varying client to client), the investment can sometimes go bust. Not to mention, if your competitor down the street gets the same unit, sales for these services can quickly go flat. Recently, I took my mom to see my dermatologist, Dr. Joel Lamm, for his signature "Liquid Face Lift". My 64 year-old working mom sees Dr. Lamm to "work his magic," lifting, plumping, sculpting and filling her badly aged face with Botox and Juvederm XC. 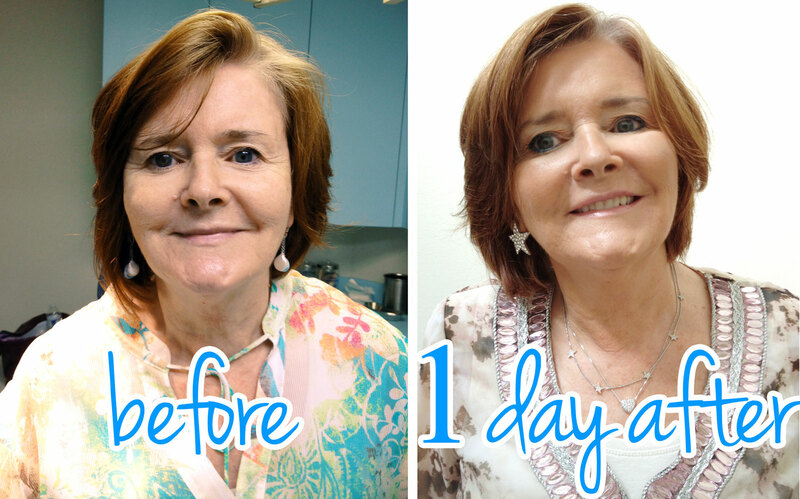 Not only is this "Liquid Face Lift" a serious confidence booster, she feels it is important not to look her age in this tumultuous job market (but that is a whole other blog). She, like many other spa clients, had exhausted her efforts of anti-aging facials, peels and microderm treatments and was ready for a serious boost of beauty. While there with my mom, Dr. Lamm told me in addition to his dermatology practice on Long Island, he has begun seeing clients at a popular day spa in Tribeca. He visits once a month to see the spa's existing and new clients who want Botox, Juvederm, Restylane or "the works" - aka the Liquid Lift my mom gets. He explained this mutually beneficial arrangement with the spa allows him to expand his clientele, while the spa gets to offer top-notch injectable services that clients want. This arrangement makes sense. When a client is ready for a dramatic and long-lasting boost of beauty - why should they leave the spa and go seek out a dermatologist, why lose that business? This type of working relationship benefits all parties. Clients get to look drastically better, and still visit the spa for facials and treatments in between injections. So how should you find a reputable dermatologist that will be a good fit for your business? Check with Allergan, http://www.botoxcosmetic.com/FAD.aspx. They have a website that allows you to locate a certified Physician who performs injectables. Contact them and start a dialog! My advice, stick with a dermatologist or plastic surgeon. Sorry, but I would not take my mom to see a podiatrist that is certified to inject Botox! Dr. Lamm is located in Hicksville, NY - http://www.lammdermatology.com/ and specializes in creating natural looking (but astounding) effects with injectables.